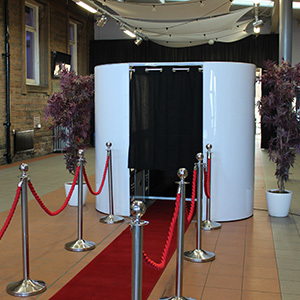 All our booths are supplied by the UK’s leading photobooth manufacturer. 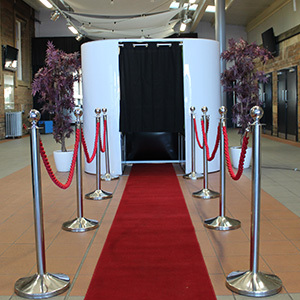 Each one is a full-sized enclosed booth designed to seat up to four guests, has a privacy curtain, touch-screen & green screen technology, and video messaging capability. They all utilise high-definition digital SLR cameras and commercial grade dye-sublimation printers for the highest quality images and prints. They are sleek & stylish in design and in an oval shape measuring 7 foot by 4 foot, requiring a space of about 3 metres by 2 metres. They can be a main feature in a room or can be placed to one side of the function room of your venue as a side entertainment installation. 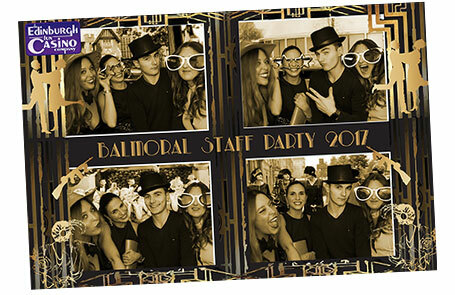 Whether you are getting married, holding a charity event, entertaining corporate clients, or hosting a party we can create your very own unique overlay tailored to you event to help immortalise those memories. 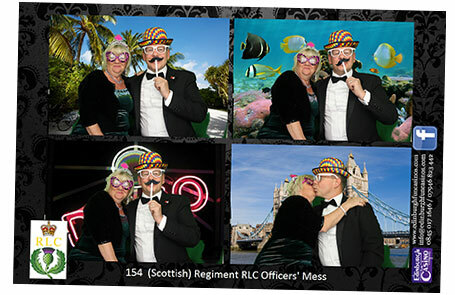 Green Screen is a technology that allows you to superimpose any JPEG images you desire to the background of the booth making it more tailored to your event. Our packages include customisation and branding of the booth overlay, instant prints, booth operator, prop box, pendrive and online gallery as standard. We can even customise the prints to include a special message from you, a specific colour scheme or graphics. All images taken are Royalty Free and are automatically stored digitally. You will also receive a USB pen-drive at the end of the event containing all the images taken to enjoy, copy or reprint at your leisure. Our popular ‘Prop Box’ filled with hats, wigs and associated props for your guests to create some truly imaginative photos comes as standard. Want to give your guests the Royal treatment? What about branding the booth itself. 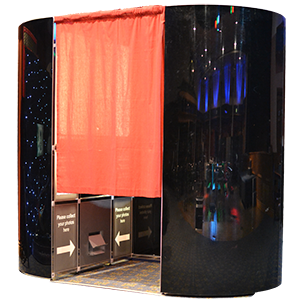 The booth panels/skins can be branded with your business logo, or event graphics. 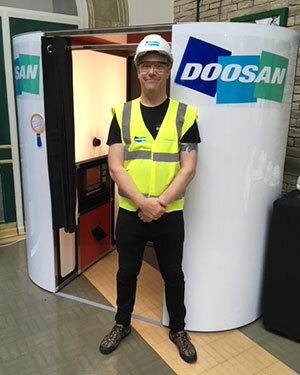 Promote your brand at conference & exhibitions and stand out from the crowd. 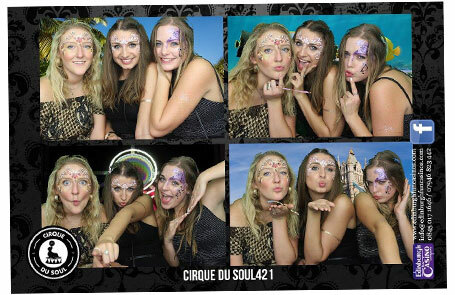 Not only can we brand your overlay with company, club or charity logos we are also happy to design your very own unique overlay to suit your event. We can even supply a Guestbook with gold & silver pens and a duplicate set of prints so that your guests can insert a print and write a personal message. A perfect keepsake for a Bride & Groom of their special day, in fact, a unique souvenir of any special occasion! Green Screen Background facility – make the most of our technology and have images/logos superimposed to the background of your booth prints. Unlimited photos – Colour or Black & White the choice is yours. Commercial grade printers – Using the best dye sublimination printers trusted by professional photographers. Personalised Prints unique to your event – We are able to add personal messages, Logos & graphics, Free of charge. Prop Box as standard – filled full of fun accessories to make truly unique looks! Complimentary USB Pen Drive of all photos taken – Royalty free and available to print or copy at your leisure. 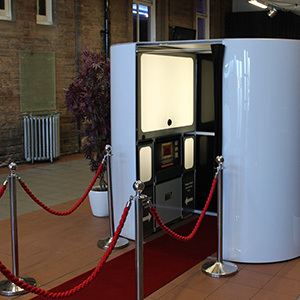 Supplied with a friendly photobooth operator – who is in attendance for the duration of the hire and only too happy to assist your guests. 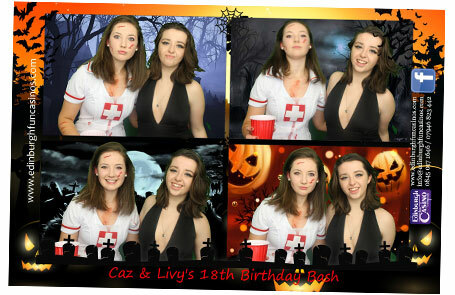 Have you seen our new Green Screen Photo Booth?